Mark Polydoris has followed up his Mega Man 2 lullabies with a new collection available on iTunes and Loudr. About a year ago, Mark Polydoris created a series of children's lullabies based on the soundtrack of Mega Man 2. Hoping to then share it with the world, he then threw it up on Soundcloud. They were a hit. "In the course of a year, the album had over 150,000 plays," said Polydoris. "Someone even told us that they used the lullabies at their wedding reception." It was a success that took Polydoris by surprise, and while he was "pretty happy just putting them up on Soundcloud," he kept receiving messages from appreciative fans of his work saying that they'd gladly pay for more. Understandably taking that as a sign, Polydoris did what every good gaming enterprise does when it has a hit: he made a sequel. Handpicking a new selection of games from the NES era, Polydoris recorded a follow-up collection of piano lullabies drawing on the soundtracks of popular classics such as Super Mario Bros 2, Startropics, Metroid, Punch Out and more. According to Polydoris, it was his to select a good mix of iconic titles as well as games that meant something to him personally. "Super Mario Bros. 2 was a one of the easiest to choose, since the game is all about Mario going through a dreamworld, and that overworld theme really sounds like a lullaby once you slow it down," he explained. "The "Sub C" song from Startropics is not as popular but it's a personal favorite of mine, and I just think it's totally underrated." 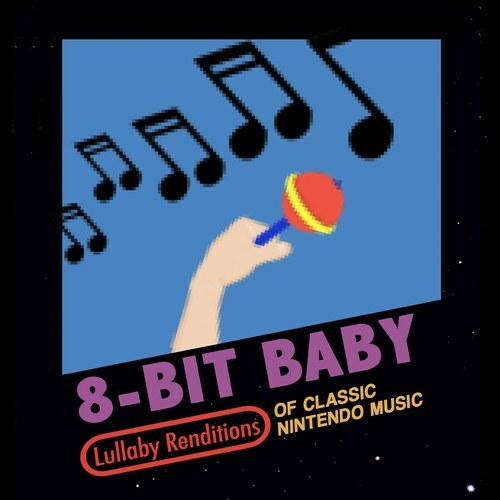 The end result of his efforts is 8-Bit Baby, a full-fledged and fully licensed album that can be purchased on both iTunes and Loudr. Granted, time will still have to tell if gamers respond as well to Polydoris's music now that there's a price tag attached. That being the case, it's still an impressive step forward for a man who started out playing piano Mega Man tunes for his son.